Hi peeps! Happy Memorial Day! Hope you're enjoying your day off. I don't have a card to share today, but I thought I share this video of my niece singing House of the Rising Sun. Hubby and I are so proud of her. She loves to sing and perform. She's been performing at the Houston Opera this past few years. I adore animals and those that lives in the ocean definitely caught my interest as well. One of my favorite animal from the ocean is seahorse. There's just something about them that's simply mesmerize me. 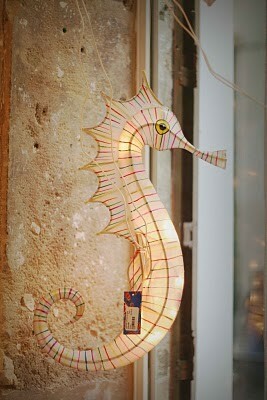 One of the momento that I got from our wedding at Playa Del Carmen was a seahorse glass pendant. Well, the reason I am talking about seahorse, is because this week at Wee Memories our challenge is to make a project inspired from Etsy or Pinterest. and, while browsing Pinterest, this image caught my heart right away. For the sentiment, I used SRM stickers that stick wonderfully to the ribbon. 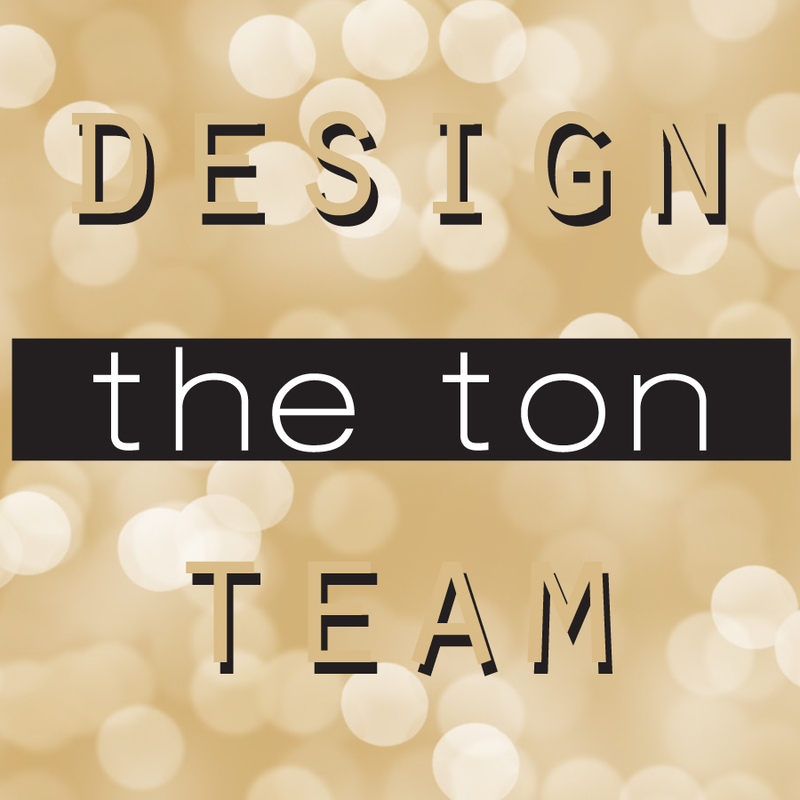 For more inspirations, pease check out the DT gals fabulous creations HERE. First, let's start with the card, shall we? This week, A Day of Daisies releases a bunch of Asian inspired images and they're gorgeous. I made this card for the new challenge at ADFD, which is "black, white + one color". I've been drawn to red lately, so that's what I use for my extra color. I really only use red to color the image. For glitters, I used stardust stickle and somehow it shows up as blue. I kind of like this challenge. :) I think the result is pretty fun. I hope you come and join us for the challenge. 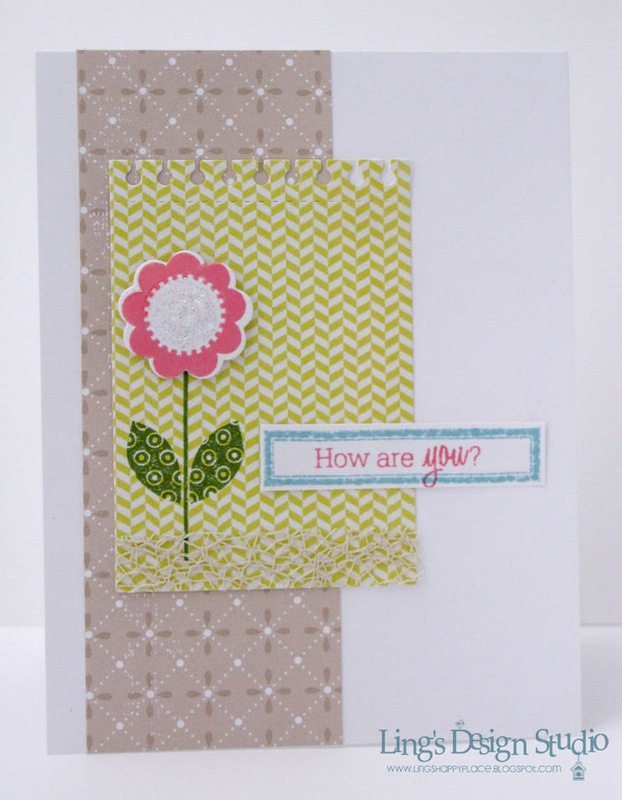 Tammy always provide a freebie with each new challenge, so check out the freebie for this challenge and check out the inspiration by the DT HERE. But, our family wouldn't be complete without him. He's the clown and always know how to make people laugh. I am so proud of him and love him to pieces. Look at this cake from his sweetie. LOL, can you guess his profession? So far, he has published 2 books. Here's a look of his book covers. The first book was about beauty, grace, power, and strength of women and he dedicated this book to my mom. The second book are collection of influential people in Indonesia in their most private room their bedroom and just by looking at the pic, you can guess what they're like or what their job or what's important for them. That's what I love about my brother's photography. When you look at the pictures he's taken, it represent something deeper. He has many fabulous underwater picture as well and you can check those HERE. 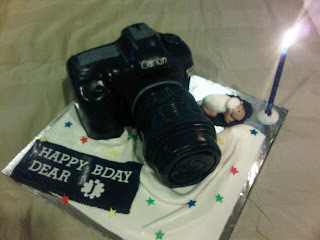 Happy birthday to my lil brother. May you alway be blessed. Have a fabulous day everyone! I made a couple cards for the hop using Melissa Bickford's Flower Fusion set. Here's the first one. 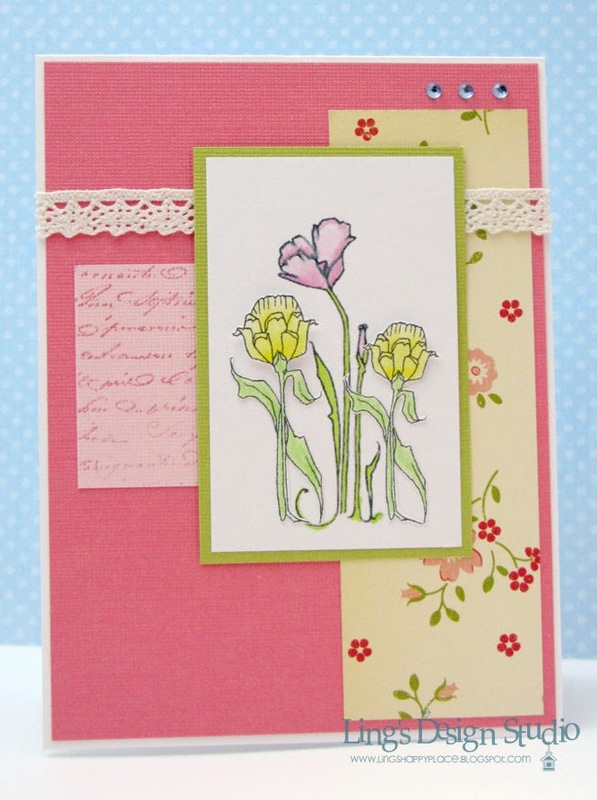 I am going with soft, girly look for this card. And for the next card, I am going CAS. Short and quick post today as I know you have many blog to hop to. Thank you so much for stopping by and I am off to hop around. I love simple and clean design. I am always drawn to that kind of styl. And, if you love CAS style, then most likely you are familiar with Simplicity blog and imagine my surprise when I saw THIS on my inbox today. 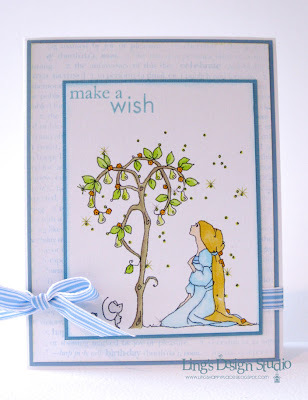 On her post today, Susan CASE my ribbon card in such a fabulous way. 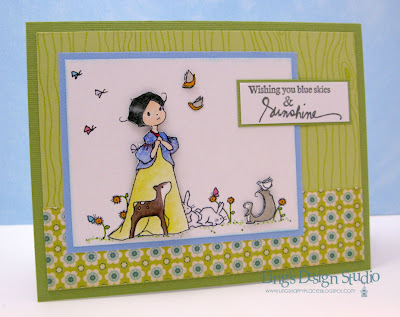 Seeing her cards makes me want to try this technique again. 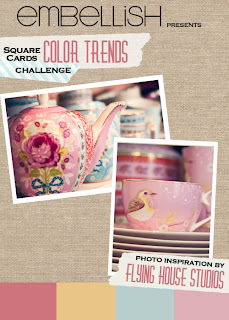 :) It's such a thrilled to see how others intrepret your design. That's such a compliment. Thank you, Susan for making my day. Alphabet Challenge - "C" is for CAS - clean & simple. Happy Saturday, peeps! How are you all doing? Yesterday was a good day for me. I received happy email from Paper Crafts.They pick 4 of my cards for A Card A Day edition. I am soooo thrilled. This is record breaking for me. :) I did work hard for this one and submitted quite a few. And this time, my guess on which ones will get pick are correct. This not always happen, of course. Anyway, that was a great way to start the weekend, don't you think? And, how about a new challenge. 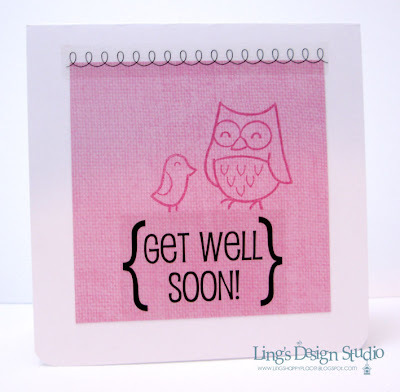 This week, Wee Memories challenge theme is "STAMP IT" and w are sponsored by the fabulous Market Street Stamps. I love, love the quality of their stamp. 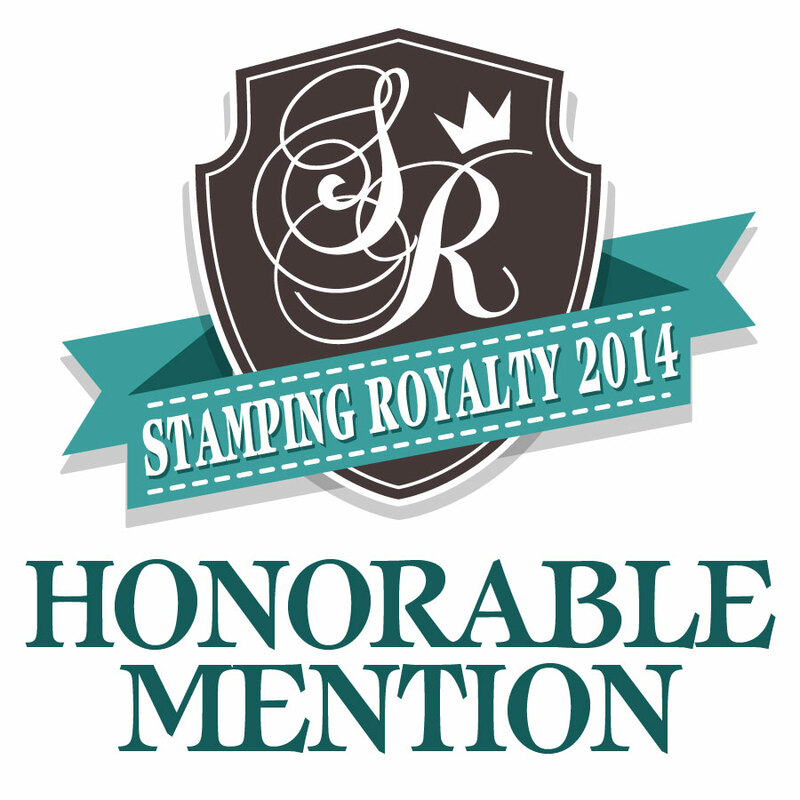 Their background stamps are yummi-licious, too. 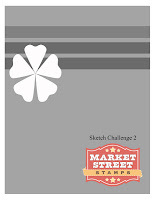 Here's what I made, based on Market Street Stamp sketch challenge and CAS-ual Fridays "Bring the bling" challenge. Yep, bright and cheery. I have 2 of their background stamps and they're definitely my favorite. 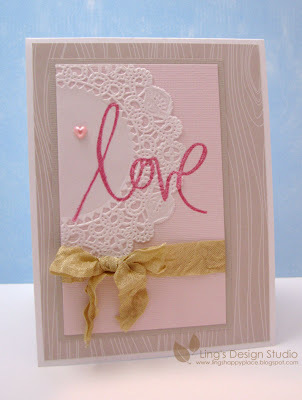 The one above is using Woodgrain and here's my card from previous post using Bit of Burlap background. 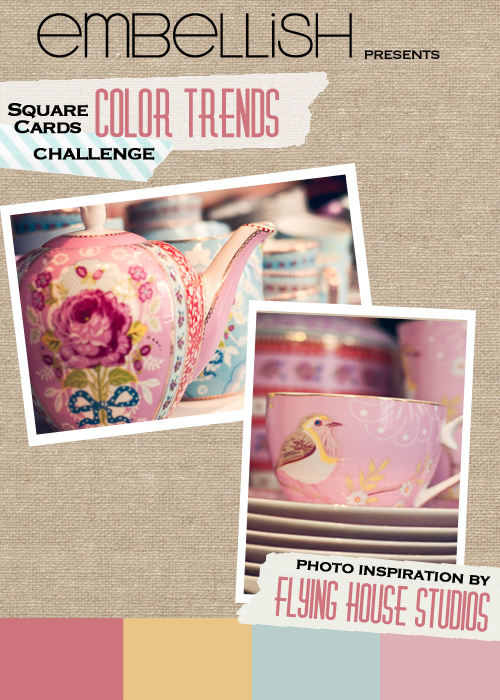 For more inspirations, go check out what the Wee Memories gals created for this challenge. Hope you will join us and I can't wait to see your creations! Have a super duper fun weekend! Hah... I think the mice kind of stole the show a little bit. They're just so cute! Check out the DT creations at A Day For Daisies blog. 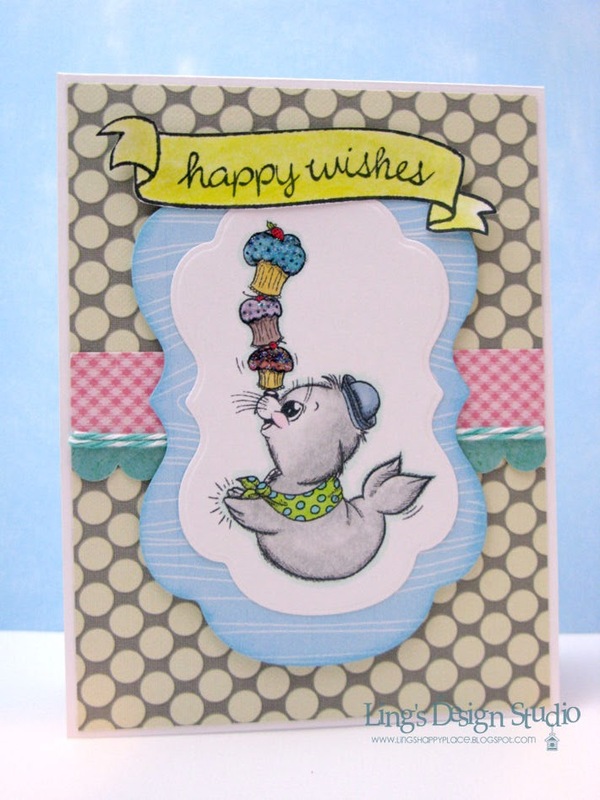 Next, is my 3rd card that was published in Paper Crafts Cad Creations. This card is glitter galore! Very sparkly. 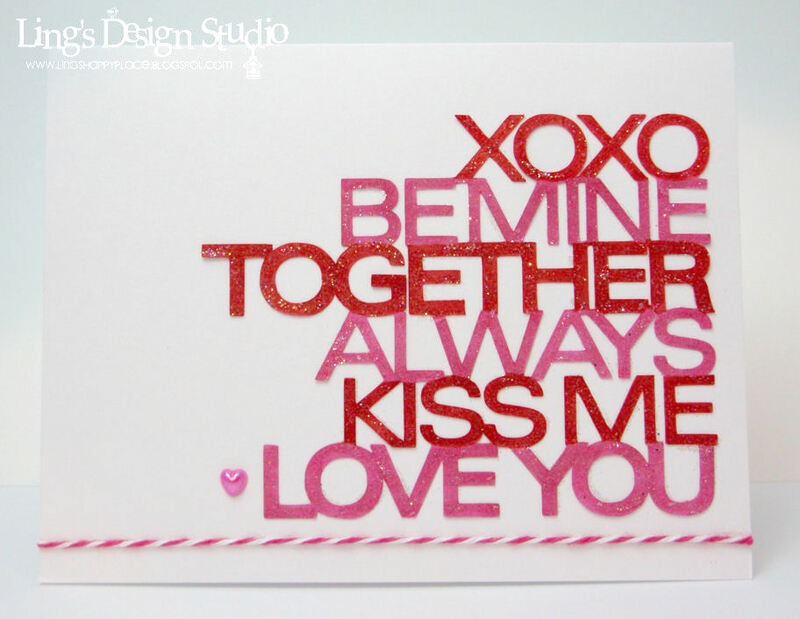 Yep... this card goes to hubby of course. He just have to accept all the glitters. Hah! Thank you all for stopping by and have a wonderful Friday! Hi peeps. Boy oh boy... I am really struggling to keep up with my blog post this week. I am late in posting this, but here's my card for this week Paper Play "Sparkle galore"Challenges. Mine only has 1 sparkle, but that should count, right? 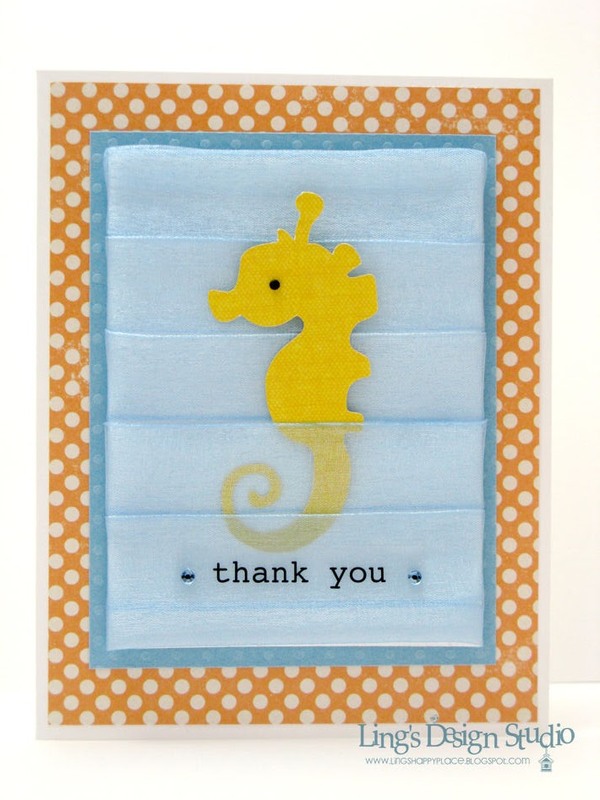 :) My mojo is kind of on vacation right now and honestly, I am not sure I am really happy with this card. BTW, did you see today Paper Crafts Connection post? Yep, my name was in there as one of the new designers. Took me a few tries to get published and it fnally happened! Never give up, peeps. Keep on trying. Oh... and, as I promised on my last post here's my second card from Card Creations Volume 9 that fall under Love section. Good morning peeps! How are you? I've been making a bunch of cards for submission and cross my fingers that I'll have a few picked up. I haven't get a chance to make card for my post here, but how about sharing my very first publication with Paper Crafts? 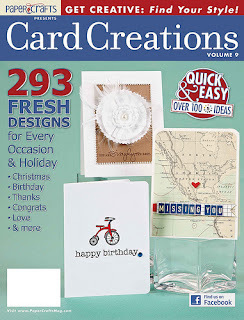 I had 3 cards published in Card Creations Volume 9. :) Sooo, excited! I did had hubby took pic of me holding the magazine, but goodness, he chopped half of my body, so the picture just looks really weird. LOL, will try to get better one. It's going in my scrapbook! Meanwhile here's the magazine. This card below is one of my favorite card. I'll share the other 2 cards tomorrow. This one is on page 137 under Thank You section. 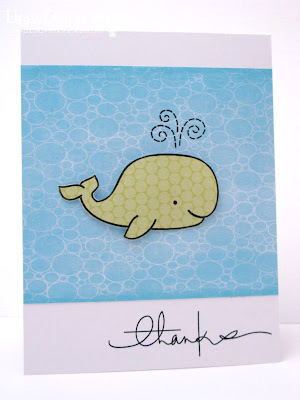 This cute whale just make me smile every time I look at it. I still remember, when I received thee happy email. I was so thrilled and had to control myself not to scream and start jumping up and down. :) There are so many awesome inspirations in this edition and I already have several ideas bookmarked. And, I almost forgot to post who win the subsription for Scrapbooks, Etc. Sorry, I supposed to post it last Friday and totally forgot. Since there's only a few entries, I just wrote down all the names and use hubby as my manual random generator. :) And the winner of Scrapbooks, Etc. subscription giveaway is.... Jessica Wekenman!! Jessica, please email me at wirianta@hotmail.com and send me your mailing address. Congrats and thank you to those who enter. Happy Saturday! How are you all doing? Hope you're enjoying your weekend. 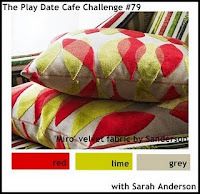 Today we have fun new Wee Memories challenge for you. Let's "Get Sticky". Create any project using stickers. And we are sponsored by SRM Stickers. 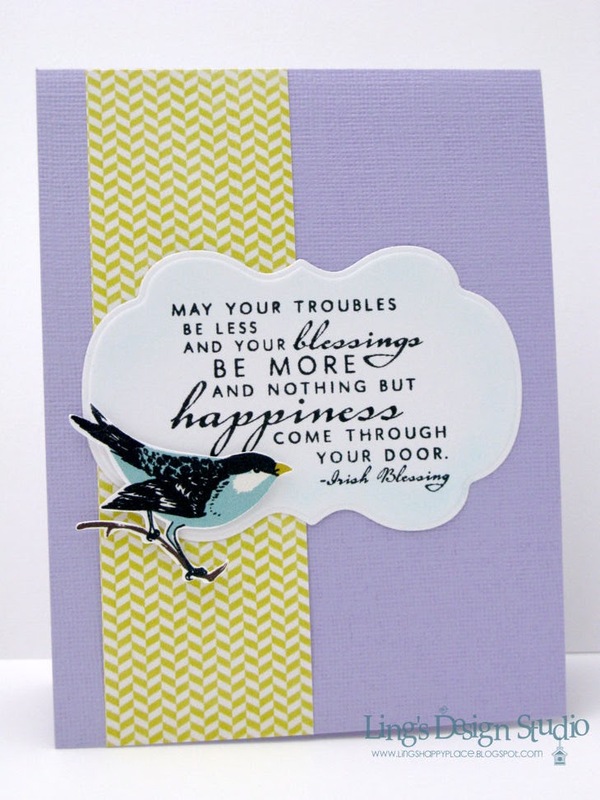 SRM Stickers offers sentiments for all occasions. 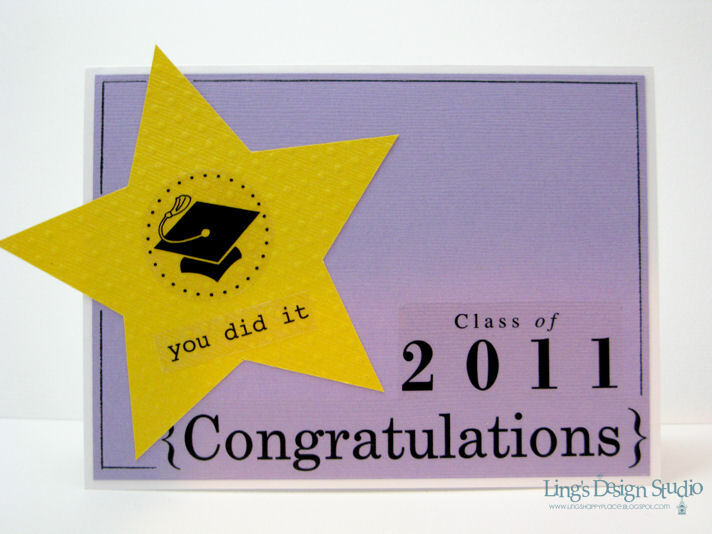 A close friend of mine, Lori, her daughter Sarah is graduating this year, so I need a graduation card for her. And this sticker set is perfect as I do not have any graduation stamps at all. 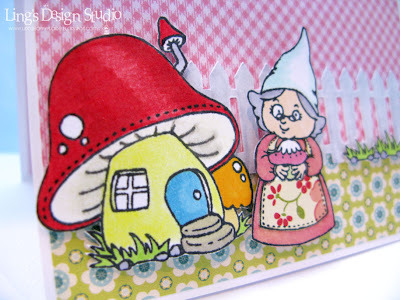 Then, since I had so much fun playing with the stickers, I made an extra card, combining sticker and stamp. The spiral sticker made me think of a spiral notebook. :) Quick & simple. Literally, it took me less than 5 minutes to do this card. 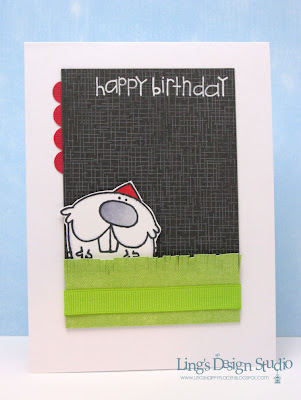 So, here's reposting my card that I did yesterday for CPS Sketch #217 and Penny Black tall card challenge. Clean and fun cuteness, if I might say so. :) Love it when my card comes out so clean looking. Since, I have a few posting that needed to be done today due to blogger issue, I re-do this post with a couple other cards. Next card is a girly one. For this card, I used A Day For Daisies new releases for this week. And today also mark time for new challenge and it's a sketch challenge. You can find the sketch HERE. And for this last card, I used the sktech from Card Patterns Sketch 114. 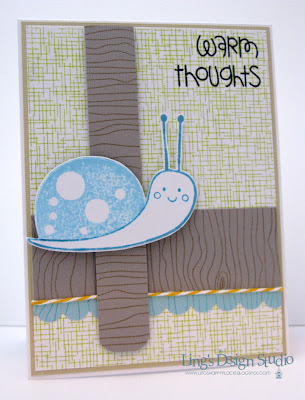 The background stamps and the snail are all from Market Street Stamps and the sentiment is from Paper Smooches. Was planning on entering this card for a couple other challenge, but too late now, since I couldn't posted this morning. Debating whether I should change my blog to typepad or wordpress. Anyway, hope you all have a wonderful weekend! However, I do want to take this moment to tell my mom how blessed I am to be her daughter. I think every daughter that has close relationship with their mom, would say that their mom is the best. :) I definitely think my mom is the best and I love her dearly. She's my rock, compass, my light house, who always guide me through all the up and down of life. And, she knows I love her with everything I have. I would be lost without her. If I ever become a mom, I hope I can be like her. To be a mom, who's strong yet gentle, someone whom all her kids can turn to. My mom once told me that her best achievement in life is being a mom to us. That it made her so proud and blessed to know that my brothers and I appreciate her, think she did a great job in raising us, and let her know all the time how much we love her. For me, there's simply no words that can describe the depth of love that I feel for my mom. Mom, I love you so much and so thankful for you. You are the greatest blessing in my life. Now, I start feeling homesick, cause I miss her. 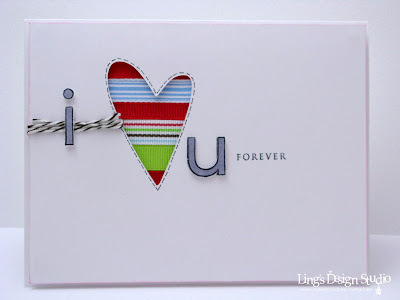 Before the water works start, how about a card that simply express my feeling? 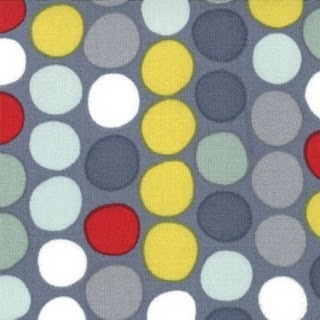 I made my card inspired by this Tuesday Trigger Polka Dots Hullabaloo. I love the dots and especially love that pop of red. So, for my card, that's exactly what I did. A pop of red! Oh, before I go, one more thing. How about a subscription giveaway? 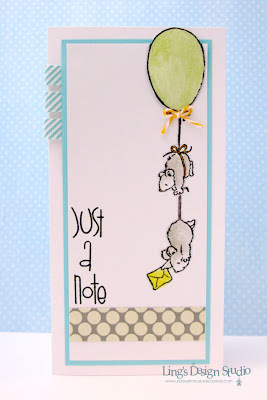 I am inspired by another sweet ard maker, Latisha Yoast, who did this recently. I am due to renew my subscription for Scrapbooks, Etc. I don't know how many of you who follow me are scrapbookers as well. Anyway, when I renew, I can send 1 free year subscription to someone else. So, if you live in the States, let me know if you're interested. All you need to do is tell me what one nice random thing that you did for someone else recently. :) I will raffle all that enter and let you know who won the subscription by Friday, 5/13/11. Hope your week start of wonderfully! Hugs. NOTE: If you're looking for my Wee Memories blog hop post please scroll down. Hi there! 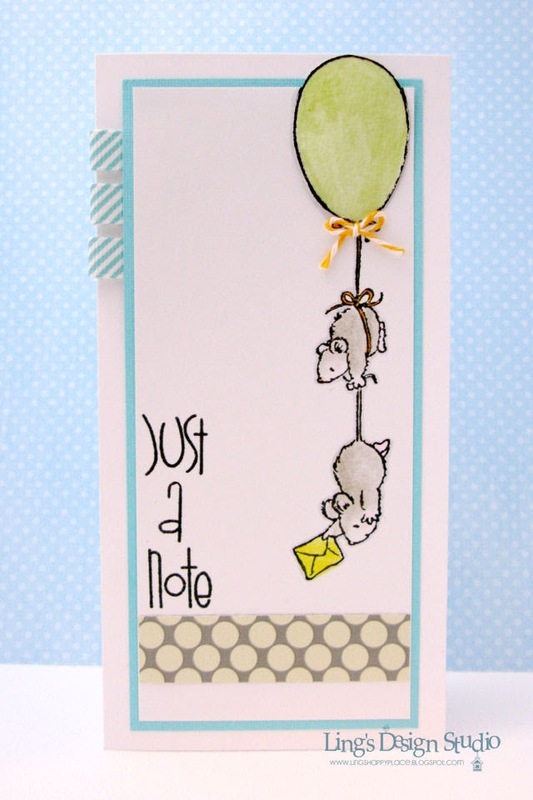 Welcome to the 2nd annual Mother of All Blog Hops sponsored by There She Goes Clears Stamps! If you’ve arrived here from CHRISTINE, then you are in the right spot! 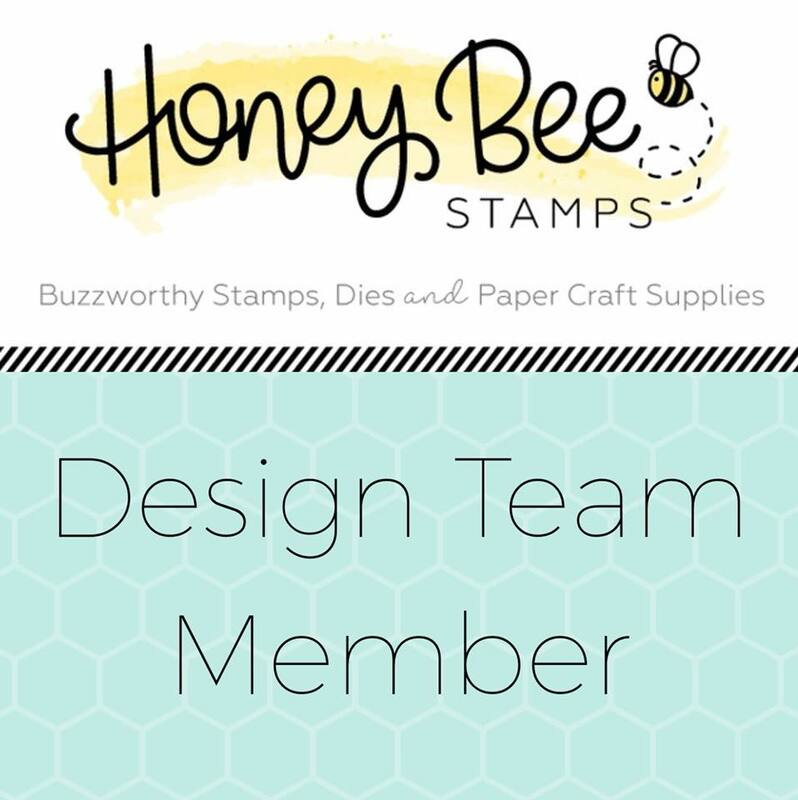 If not, you will want to start back on the There She Goes team blog in order to find out what you need to do to be eligible for the prizes we are offering! Close up of the inside images. 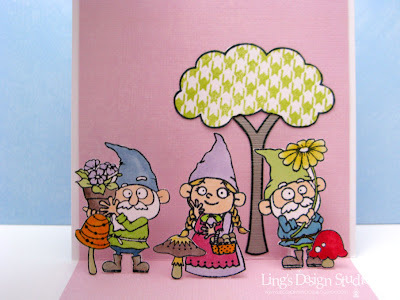 Yep, I do love these gnomes. They're just sooo cute! :) From here, please hop on over to DANIELLE. Thank you all so much for stopping by. I hope you enjoy the hop and don't forget to lave comment on each blog to be qualified for the prize. Have a great weekend and enjoy your Mother's Day weekend! 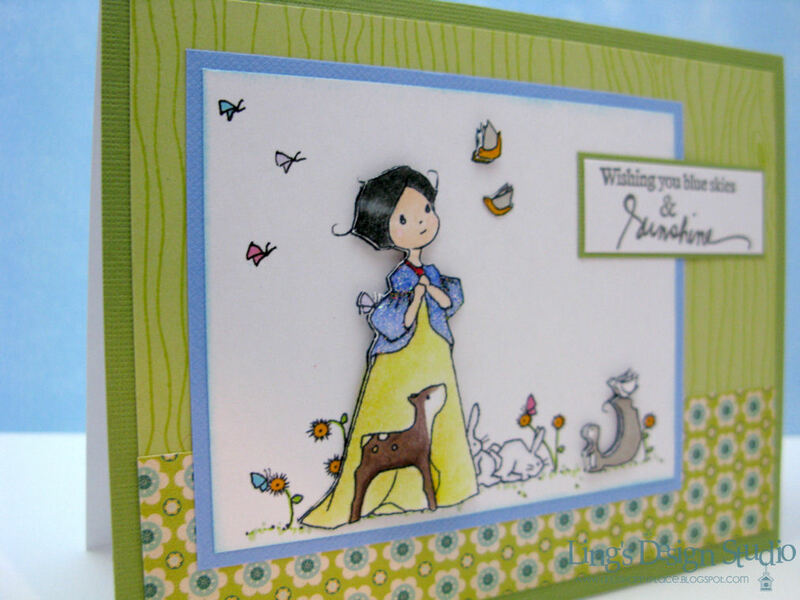 Hi peeps and welcome to Wee Memories blog hop! This week we are sponsored by The Greeting Farms and the theme for this week challenge is C.R.A.F.T.S (Color, Ribbon, Acrylic, Floral, Twine, Stamps) any or all of the above. If you come here from STEPHANIE place,then you're on the right track. If you're lost you can always go to Wee Memories blog for the complete list of participants. 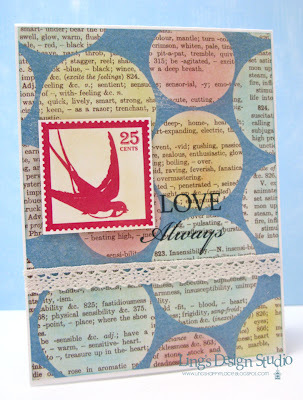 And here's my card using color,twine and stamp. I love how cute this baby seal looks. This image just make me smile every time I look at it. And, this month we are so lucky to be joined by these 2 fabulous ladies: Lea Lawson and Sarah Martina Parker. Please stop by their blog and give them a warm welcome. Hope you enjoy the hop. From here, please hop on over to WENDY. 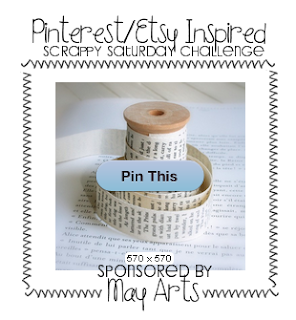 Thank you all for stopping by and I hope you will join us on this fun challenge. Hugs!! As a girly girl, I thought it's kind of funny that as a kid I actually never really got into fairy tale stories. I mean I enjoyed watching them, but somehow to this day I preferred animation where the main character are animals. Like, my all time favorite animation is The Lion King. That's the top 1. Follow by Land Before Time and Ice Age. I do remember that Snow White was one of the first fairy tale animation that I saw. LOL, even then, I was more attracted to all the cute animals than the Snow White herself. Although, I have to admit I enjoyed watching "Tangled" recently. Why the talk about fairy tale or princess? 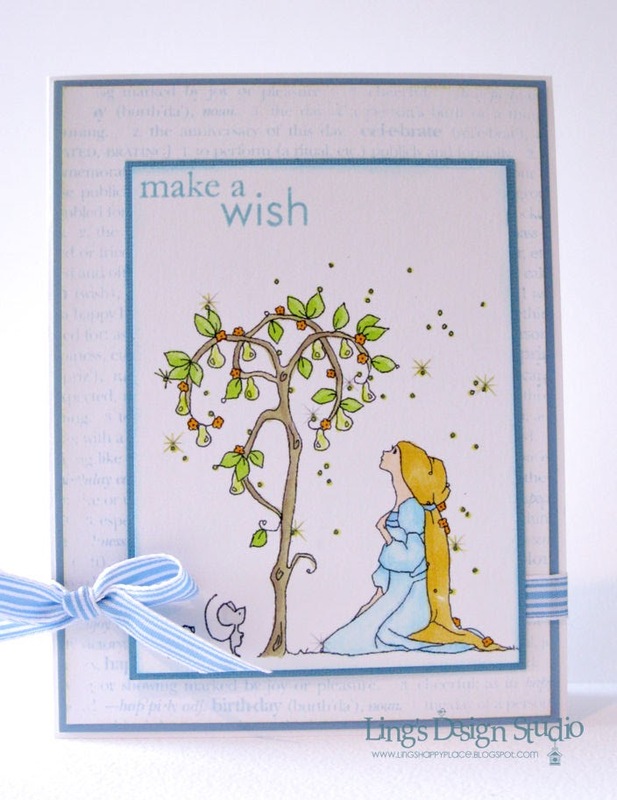 Because at A Day For Daisies, Tammy continue with her fairy tale series. And this week she releases many adorable princess. This image I used on my card, caught my eyes instantly, because... yep... the animals. And little Snow White is so adorable as well. Here's an up-close of the image. I layeed the princess and the squirrel. 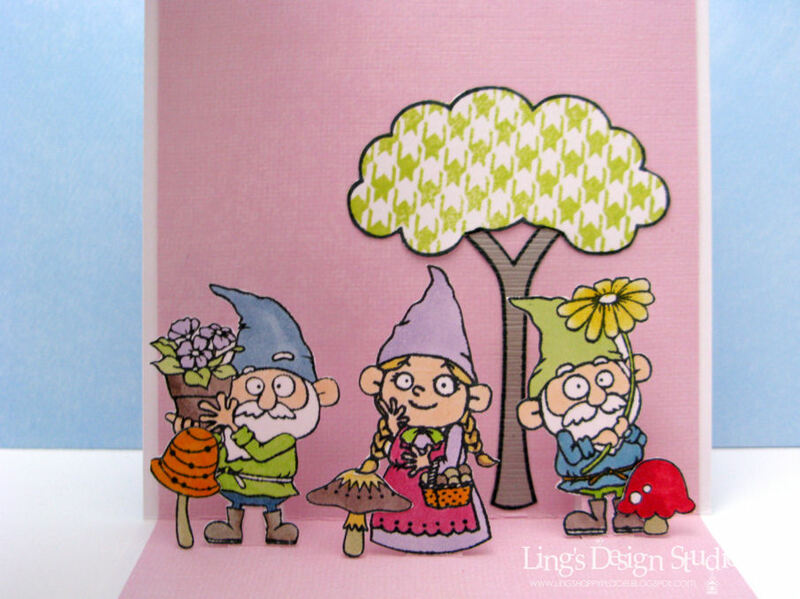 The whole scene is so springy, don't you think? That wood background is "Woodgrain" from Market Street Stamp. Another favorite! 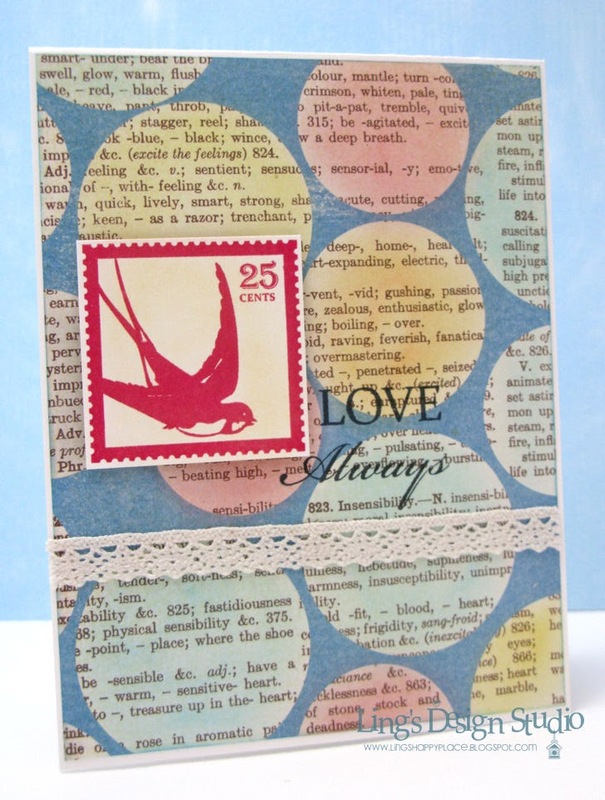 I do love their background stamp, because they're big enough to cover the whole card. The ADFD gals created some super yummy samples. Go check out their fabulous projects HERE. 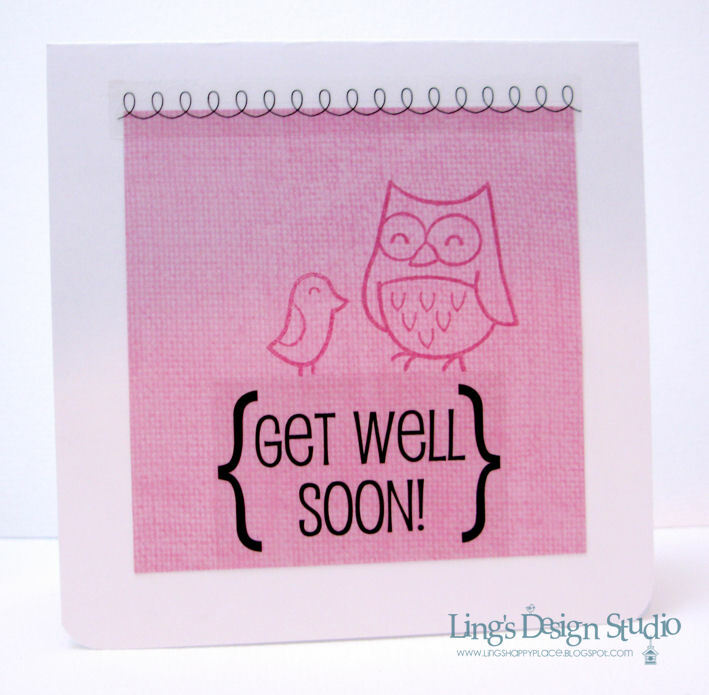 Since I am sore, I guess the best way to nurse the pain is by sitting on my desk and make cards! Wishing you all a lovely day. Yay for Thursday! Time for team B to play at Paper Play Challenge and this week Nicole set the challenge to "Showcase Your Style". Easy peasy. For me it's either CAS or cutesy. 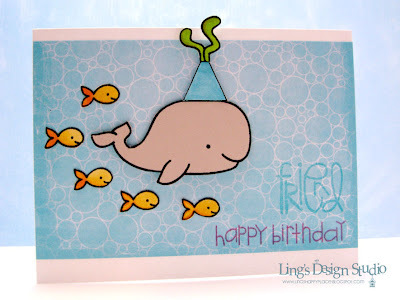 I go with cutesy for this card, using the adorable whale from one of my favorite company, Lawn Fawn, so I can also entering this card for Lawnscaping "Party" challenge. I thought his party hat would be more fun decorated with sea weed. 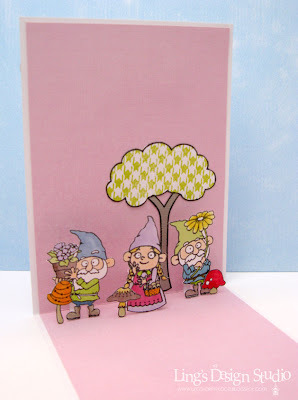 :) I love this card. The whole scene just so fun! And the little fish with their smiley faces, reminds me of Goldfish snacks. Yummmiee goodness. Yesterday was one of those great day. All I can say, some of the stuff that happened to me yesterday totally restore my faith that things really do happen for a reason and great things do come to those who work hard. As some of you know, I recently lost my job. Then yesterday, let just say something stupid happened that made me truly realized that hey, it's not me and this whole situation is truly a blessing. I wouldn't write what actually happened, let just say it open my eyes completely that I am not missing a thing. I had thought of quitting many times before, but always afraid of taking that step. And, I think God is saying enough with the stalling and all the stress and He opened the way for me. Now, I have time to pursue what I love. I no longer have crazy heart burn or stomach pain from stress (my health was going down the drain this past couple years) and I could so feel I am healthier physically & mentally. I get to bond with my niece & SIL more. I exercise more. I get to be a better wife because I am happier and more relax. 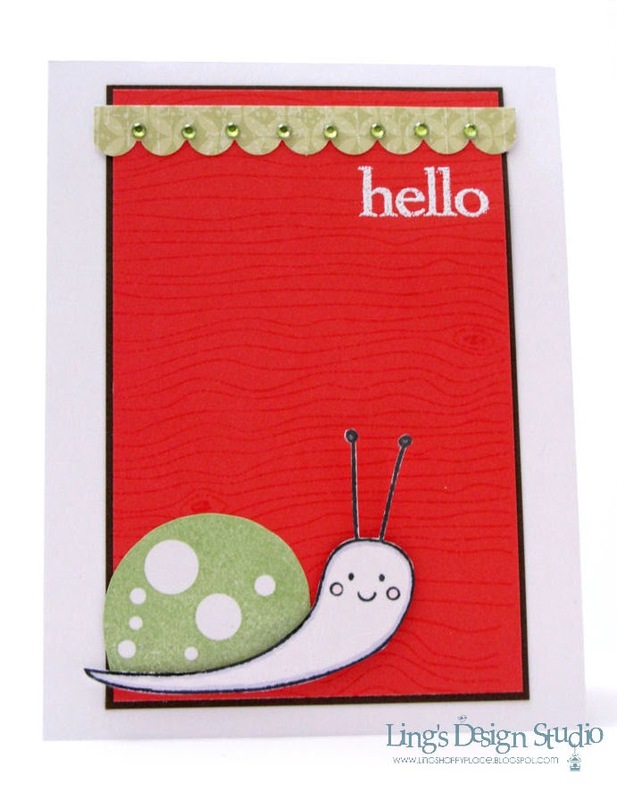 With this happy note, let's move to card and let me share with you a card I created a happy card based on the Play Date Cafe Color Challenge. I know on the inspiration color it shows light grey and I went with dark grey. Branch out a bit, but there's nothing wrong with that, right? That yummy background is using Market Street Stamp "Bit of Burlap". For the talent show, she sang Christina Aguliera's song "Beautiful", and her parents, her grandparents, ad me, we all just sat there in awe listening to the power of her voice. And it's funny, that she has perform at many opera, yet for this school talent show, she was so nervous, you'd think she never been on stage. Literally, for the audition she cried saying she didn't want to go up there because she felt she's not ready. But, she has great group of friends who totally cheer her on and basically threatened to drag her on stage. LOL. I'm so proud of her for overcoming her fear. I could so learn from this girl. Know, what else that make my niece unique? She loves birds and just based one their look, she could name what kind of bird it is. She done it since she was 5-6 years old. I am gushing about my niece, don't I? Sigh... hubby and I truly adore her. And, I made this card that I thought reflect how I felt about her perfectly. 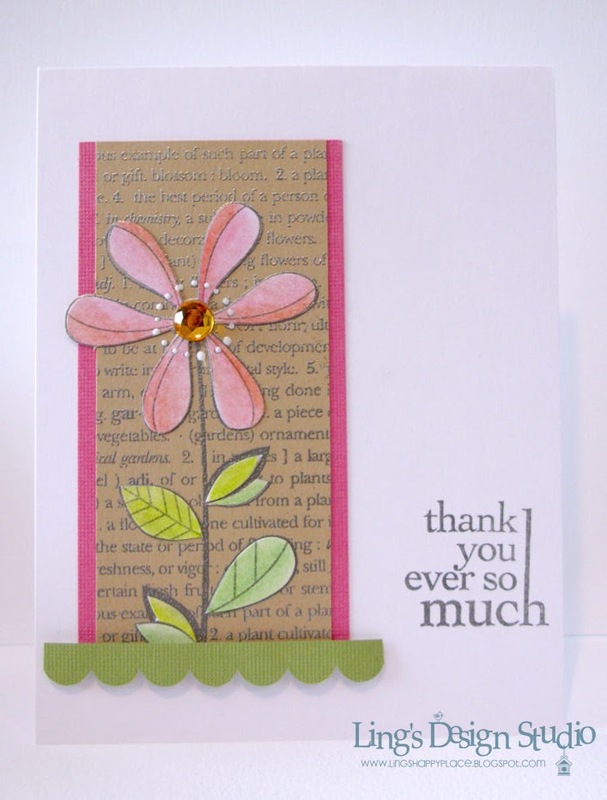 The color is inspired by Paper Crafts color challenge # 4. Good morning lovely peeps! How's your weekend? Hubby and I had a low key but enjoyable weekend. We spent an evening out walking in the park as this past weekend the park by our house had relay for life event going on. There was ife band and many people camped out for the night. It was fun. Anyway, I did get to play in my scrap room. 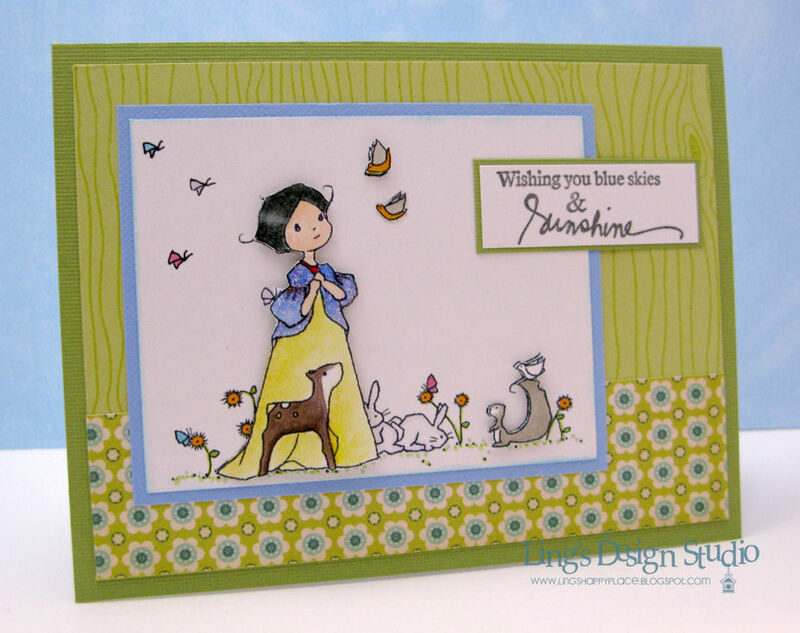 Here's one of the card I made following CPS sketch 216 and Embellish square cards & color trends challenge. This sunny yellow heart paper makes me happy. It's so cheerful. And psst... it's a digital paper from Echo Park, so you can print it as often as you want. Bird & sentiment sticker are from SRM. Hope this week start out great for you all. Have a great week everyone!